One need not be a political scientist to note that more often than not the polemic on the alleged secular nature of the Federal Constitution, and by virtue of which, the supposed secular status of Malaysia as a nation, are tainted by political prejudices. So much so that even a cursory glance on the issue would reveal that while branding themselves as championing the cause of Islam, PAS and those aligned to their political agenda assert Malaysia a secular state simply to smear the government of being un-Islamic; or when DAP and those aligned agree with PAS’ allegation it is only because they denounce any call of making things Islamic out of Malaysia, for who could ever forget their former chairman’s notorious remark, “over my dead body before Islamic state”? ; or the contention that when Umno and those aligned maintained that Malaysia is indeed an exemplar of a modern Islamic state, it is only to present themselves as all the more Islamic in the eyes of the Malay-Muslim majority. All this would seem to indicate that being objective on the issue is a near impossibility. Perhaps the closest one could get is to fall back on the provisions of the Federal Constitution being the grundnorm dictating as to how the nation should work. But this too would not guarantee impartiality, for personal agendas could still creeps in in the course of interpretation. One example is when one keeps on insisting that Malaysia could not be said to be Islamic because its constitution was framed in such a manner that laid down the guidelines for a secular state, despite clear and uncontroverted facts to the contrary, namely: (i) that the word ‘secular’ could not be found anywhere in the document; and (ii) that Article 3 clearly declares in no uncertain terms that Islam is the religion of the Federation. Yes – the religion of the Federation – as opposed to the myth that Islam being merely the ‘official’ religion of the Federation. It makes a world of a difference here, between the former and the latter. A comparison with the constitution of another country with similar constitutional history to ours would throw more light to this. For which purpose, I propose a comparison be made with the constitution of India, particularly because our own Federal Court had acknowledged in the landmark decision in Merdeka University v Government of Malaysia, that since “our constitution is modelled on the Indian constitution,” whenever there is a parting of way in the wordings of our Constitution from that of the Indian, it is reasonable to suppose there are good reasons for it. For starters, there is no provision with regards to the state’s religion in the Indian constitution, while there is in ours. The preamble to the Indian constitution also, following amendment, provides for a clear and unequivocal declaration that India is a “sovereign socialist secular democratic republic,” while there is none such declaration in ours. It is only reasonable therefore for us to suppose that the framers of our constitution did not merely accidentally part from the wordings of the constitution of India, but rather that they had actually deliberately chosen to do so because they so intended it to be. On appeal, admittedly and undeniably the decision of the High Court was overruled by the Court of Appeal and also by the Federal Court. But make no mistake – the above quoted passage of the judgement was never really reversed or expunged. The determining issue considered in the appeals was rather restricted to the question of whether the wearing of the Muslim’s turban a prescribed sunnah. In no way did the Court of Appeal or the Federal Court hold that the High Court’s judgement regarding the position of Islam as being incorrect, and thus it is submitted that the above quoted passage remains intact and binding. Moving on, it is trite that it would not be complete to discuss the religion of the Federation without referring to the report prepared by the Reid Commission being the then independent constitutional commission appointed to draft the constitution for the nascent independent state of Malaya. In this regard, Tommy Thomas in a lengthy academic paper entitled Is Malaysia an Islamic State, had made heavy reference to the Reid Commission Report and relied on various passages quoted therein to argue for the allegedly secular nature of the Federal Constitution – being the one word that is simply absent from our constitution. 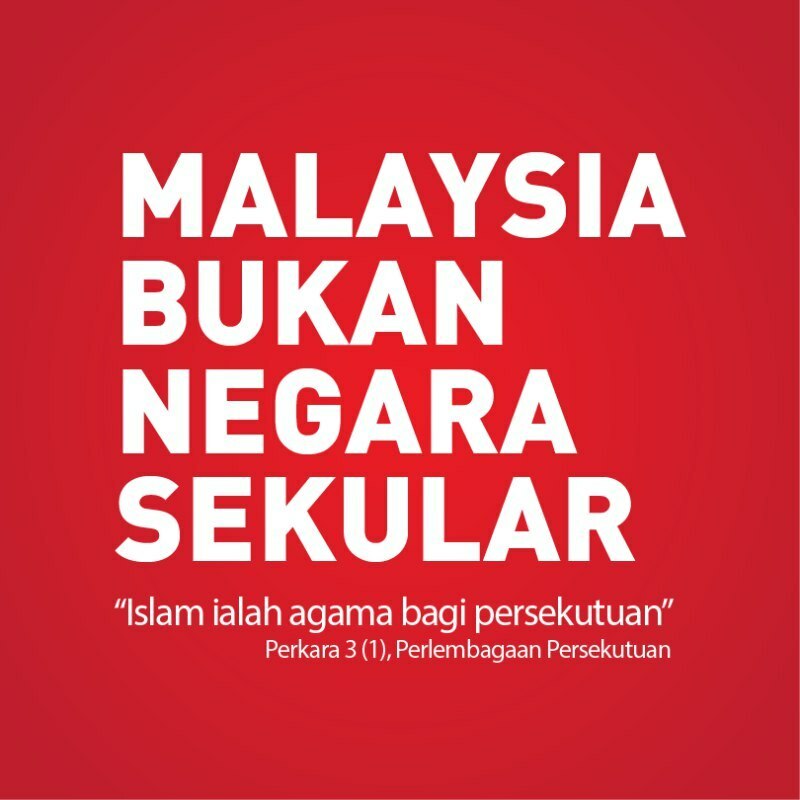 The academic paper was delivered at the 13th Malaysian Law Conference in 2005, and since then on, it has been a major source of reference to those advocating the notion Malaysia a secular nation, either acknowledged or otherwise by those referring. The learned author himself boasted in a report dated 2012 that to date, no one has been able to dispute his argument. In fact it had been parroted too many a time, and perhaps the recent essay by the Islamic Renaissance Front (IRF) entitled The Constitution Laid Down the Guidelines For a Secular State published in the Malaysian Insider is just one of too many others previously. However, there is one very glaring problem with Thomas’ quote of the Reid Commission Report in his academic essay. This was pointed out by Helen Ang in her article entitled Secular or Non-Secular: How Art Harun Got it Wrong on the Reid Commission, after having perused the original report rather than the one quoted (or rather misquoted) by Thomas. The article by Helen was actually a response to the writing of Art Harun, who I suspect might also be one of those falling prey to Thomas’ misquoting the Reid Commission. But this is simply not true. The Reid Commission said no such thing; it did not say it in such a way. Before going on further, it is important to first of all understand the nature of the Reid Commission Report so as to appreciate the grave mistake that came about out of the quoted (or rather misquoted) paragraph. The Commission, comprising of Lord Reid as the chairman, Sir Ivor Jennings, Sir William McKell, Mr. B. Malik and Mr. Justice Abdul Hamid, was appointed to draft the constitution for the soon to become independent Malaya. In so doing, it took into account the various conflicting interests inherent within the pluralities of the Malayan societies resident therein before delivering the final product based on the principle of give and take, which would later be known as the social contract between the races. So in the course of all these, the Commission received from various stakeholders memorandums, concerns, suggestions and recommendations, all of which were taken into account and later recorded and reflected in the Commission’s report. It is important to note that while the Commission does indeed make suggestions whenever necessary, there are also various parts in which the Commission simply makes a neutral report based on what was communicated to them and quoted verbatim the words of the various stakeholders. And the paragraph quoted (or rather misquoted) above purportedly to be that of the Commission’s recommendation actually happen to be a mere verbatim report based on the recommendation made by the Alliance. They were not the words of the Reid Commission. Thus it is simply wrong to say that the drafters of our Constitution had intended for the document to be secular and the nation to be the same. The issue was brought to its attention and duly considered, yes; but whether or not the Reid Commission intended it to be so is doubtful, to say the least, for if the Commission had so intended, there would have been a clear provision articulating the secular nature of the nation. Over and above the fact that the Reid Commission as the one drafting our constitution never really expressed its intention to make our nation secular, it is also important to note that if at all the word ‘secular’ ever appears in the various documents issued by various other parties pertaining to the allegedly secular nature of our constitution – like the White Paper issued by the British Government for instance, or the memoranda submitted by the Alliance – it would always be paired with and in conjunction to the declaration of the right to freedom of religion of the non-Muslims. As such it is submitted that the word ‘secular’ therein ought to be strictly construed in its contextual definition rather than literal so as to merely mean that despite the declaration of Islam being the religion of the Federation, those of the other religions may freely practise their own respective religions. Read in such a context, it cannot be said that the term ‘secular’ was meant to be understood as a wall separating religion from the state; neither could it be read as disallowing religion to have a place in public life; nor could it be understood as neutrality of the state towards any given religions as the term ‘secular’ would literally denote – how could it, when Islam is clearly put on the pedestal as the religion of the Federation and no other religion is even mentioned in the constitution. Instead, the contextual definition of the term ‘secular’ as per used therein having been paired in conjunction with the provision of freedom of religion ought to be strictly construed narrowly so as to indicate merely that the position of Islam will not affect the right to freedom of religion of the non-Muslims. That is all that there is to it. It could not and should not be construed as ‘secular’ in any other sense. Based from all that have been said thus far, while one could safely conclude that it is clear beyond any doubt whatsoever that Malaysia is not a secular state and that our constitution is not a secular document, one could not, however, as a matter of intellectual integrity, go as far as to say that ours is an Islamic state. For the concept of ‘Islamic State’ is in itself elusive, the term of which could not be found anywhere in the Quran or the traditions of the prophet, upon whom may the blessings of Allah be with. On this note, it would be most apt to conclude with a very enlightening passage from the work of Professor Syed Muhammad Naquib al-Attas, one of the foremost thinkers and scholars of our time that Malaysia is blessed to have. *Aidil Khalid is a lawyer practising in Kota Damansara, Selangor. June 12, 2014 in Article 3 - Religion of the Federation, Secular Vs Islamic.